As soon as the Union Budget 2018 hit the headlines, the stock investors got worried about the tax that will be levied on their long-term benefits; we turned to some successful stock trading businesses and e-commerce brands like Policy-bazaar, Zerodha, Paytm and Zebpay to share their views on how the recommendations done by the FM would affect the common taxpayers and the shareholders. Although in some unlikely events, we were not able to reach to Paytm and Zebpay; and Policy-bazaar was unavailable to comment, Zerodha played our knight in shining armor. 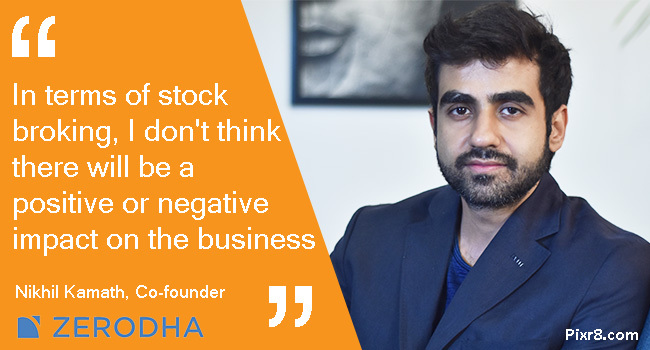 We spoke to Nikhil Kamath, the co-founder of Zerodha, a leading Indian financial service company, that provide services to the stock investors and potential stock investors. Zerodha is on top of its game in the market and is considered to be as the only Indian discount stock brokerage website. The co-founder and Head of Trading of Zerodha answered our questions with ease and courtesy that anybody could have never predicted. Zerodha is basically a stock broking firm, so to give you an example if you want to buy or sell a share you would need a broker who would provide you with a platform, there you can login and execute the orders and clear your trades for you and hold your margins for you. Basically that’s what we do. “The main USP with Zerodha when we began was its price, we started of with a price which was much cheaper than anybody else in the market at that point and now if you are an equity investor we don’t charge any brokerage. Equity investments become equally free for traders at Zerodha and if you are an intra day trader who buys and sells on the same day, we charge a flat fee of INR 20 in material of the volume of the transaction. Say for example you buy shares worth 1 crore, we charge 20 Rs. It’s a flat fee. In Union Budget 2018, government proposed to levy 10% tax on long-term capital gains if the profits are more than 1 lac. What do you feel about it? Since the short-term was always taxed @15%, there is no reason on why the long-term should not have been taxed. In fact, the people who are taking advantage of the subsidy, a long-term tax benefit are the upper strata of our community, people who not really need tax rebate. It is a not a bad thing but the market will take some time to accommodate such a practice and get used to it. Before the bill was proposed, the citizens were hoping that the government would increase the tax exempted income from 2.5 lac to 3 lac however, it didn’t happen. What do you imply of such a scenario for aam aadmi? Is there any way something positive comes out of it? the salaried class does not generally equate to aam aadmi anymore and this was a populist budget that was more targeted towards farmers and the larger working men and not the salaried personnel. Also most of the budget was targeted towards the farming community being in the election. And probably in the next year you will see the tax exemption from 2.5 lac to 3 lac if the BJP government continues to stays in power. a. Share Market as a whole. Share Market will be negatively impacted because until now there was no long-term capital gain tax and now there is a further implementation of long-term capital gain tax and the markets have corrected over the last couple of days after the budget. We were also hoping that the STT(State Transaction Tax) that happened on every transaction could be removed and that did not come through and has turned out to be the biggest disappointment for sure! b. Investors from their POV. In terms of investors the long-term capital gains tax for people who never had to pay tax before is bad but it will take a while for people to get accustomed to it. 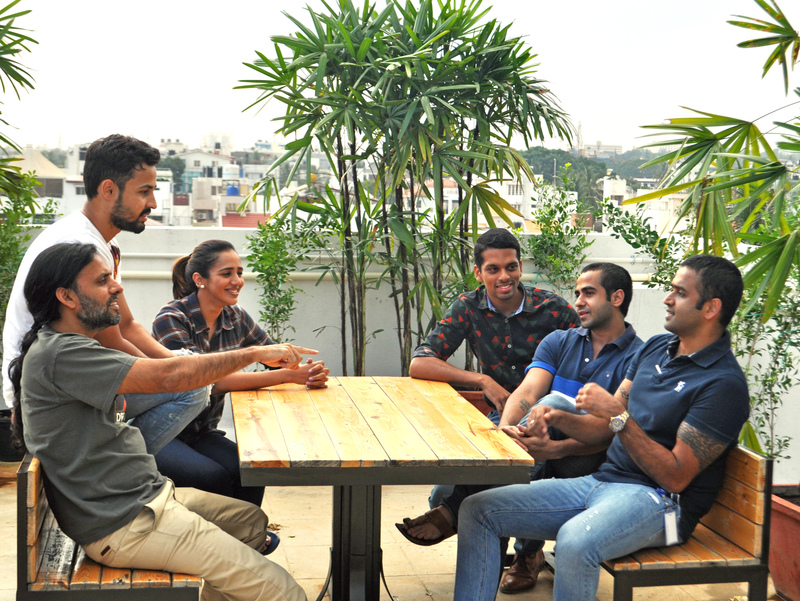 c. How will the budget affect Zerodha. Will it grow or come down. If negative, what are your plans to fight it? In terms of stock broking, I don’t think there will be a positive or negative impact on the business because nothing drastic has happened. What are your views on Budget 2018 in totality? Is it in the favor of the common people or not ? Common people is a tough term to define. If you’re talking about the world I belong to that is traders and investors, it wasn’t good. If you talk about farmers, it’s definitely good , if you are talking about salaried class, its neutral. So, each person will have a different take away from the budget. So, in totality, it was quiet a non-event. The interview demonstrated the point well enough, that there is not much to expect from the budget 2018 for the salaried class and its surely is fruitful for the farmer section. However the long term capital investors will have to spend some extra cash on tax in order to keep investing which means the high income taxpayers are the ones who are the most affected by 2018’s financial plan. Well for the honest tax payers, I guess they have to look for the benefits in the budget year after year.